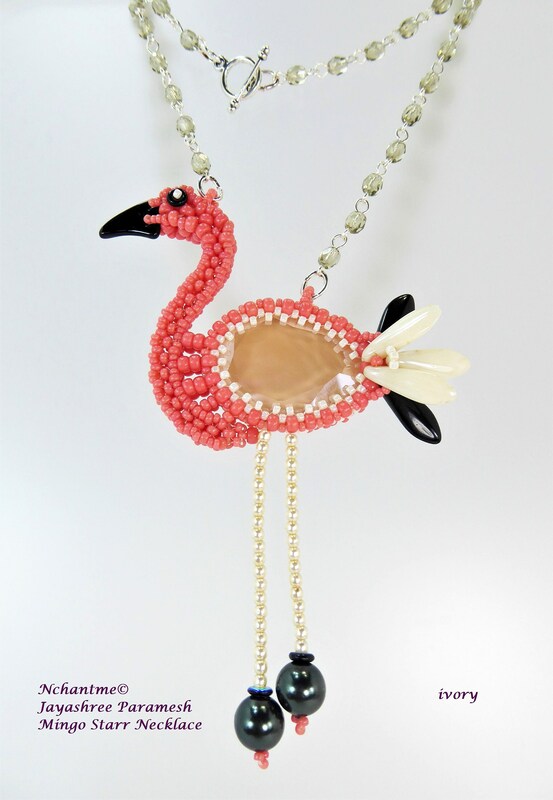 Mingo Starr Necklace is a showstopper and conversation starter all in one! Add some flair and take inspiration from 1950’s Americana with this long necklace. 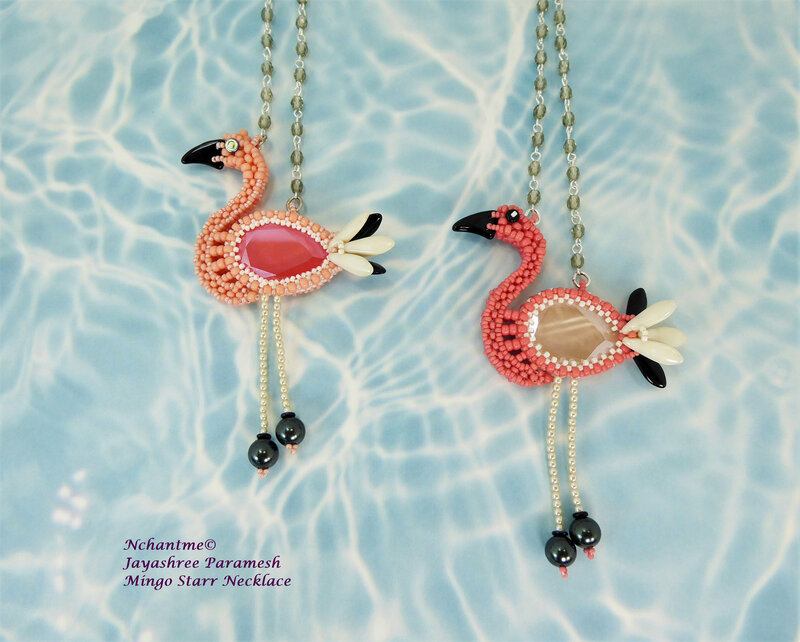 This feathered friend is also perfect for adding a tropical touch to your summer style. 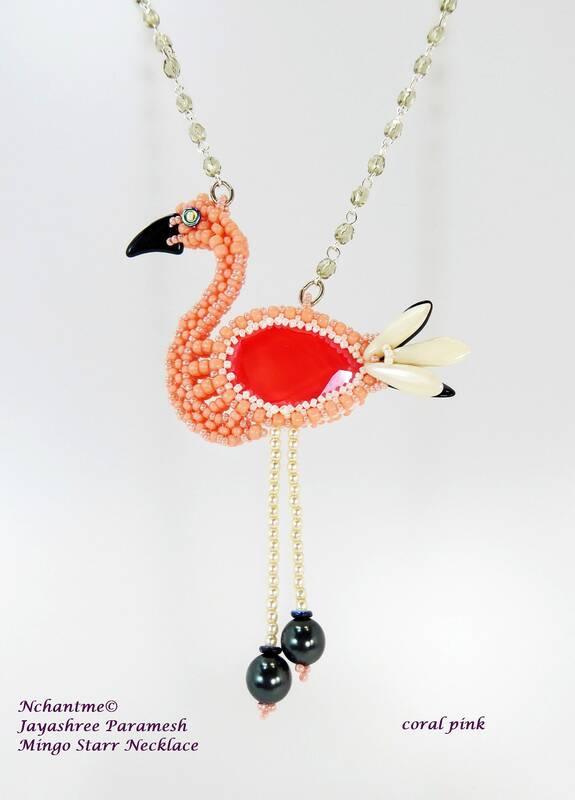 It features a whimsical flamingo pendant that dangles from a long bead-embellished chain. Techniques: Cubic Right Angle Weave, Peyote, and other stitches. 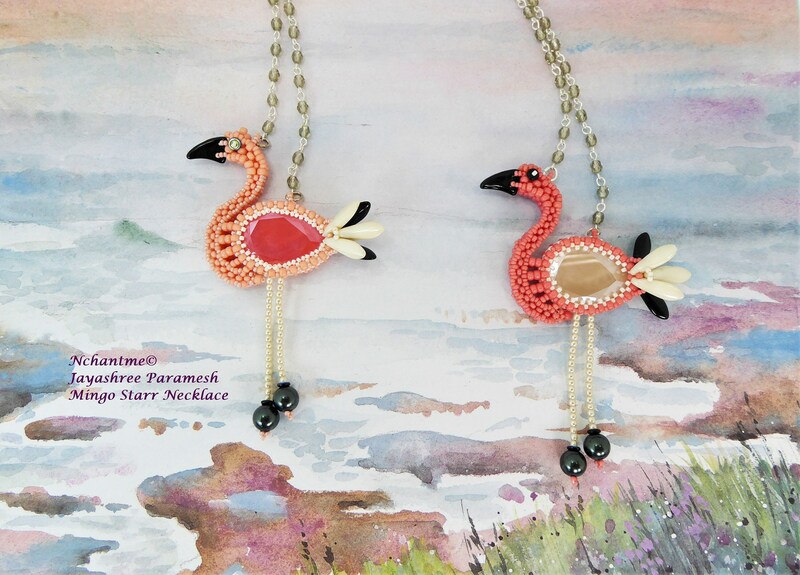 Tutorial has clear step-by-step instructions with 67 digital illustrations plus photos to make beading this pendant a breeze! Level: Intermediate to advanced, must know how to do Cubic Right Angle Weave.